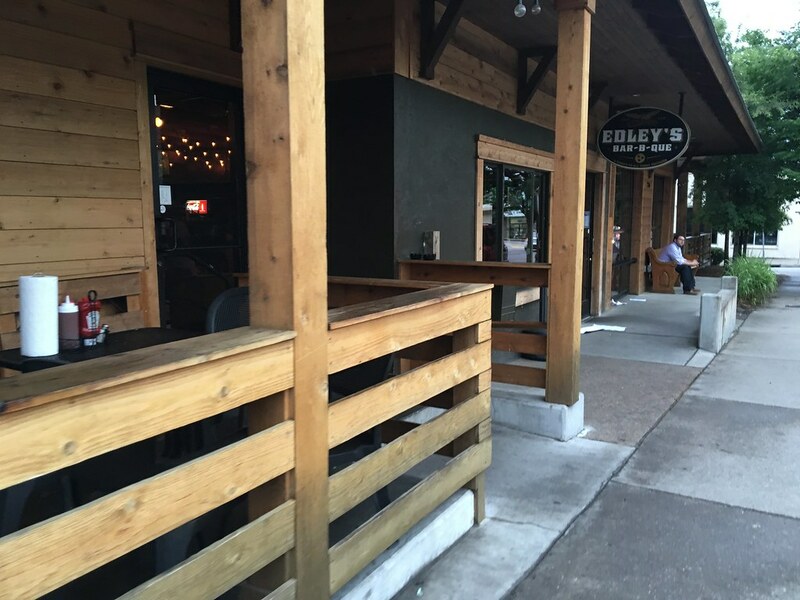 Edley's Bar-B-Que, while specializes in BBQ and a delicious assortment of side dishes, serves up one of the most legendary drinks in Nashville. So, if for that reason alone, I made it a priority to stop. 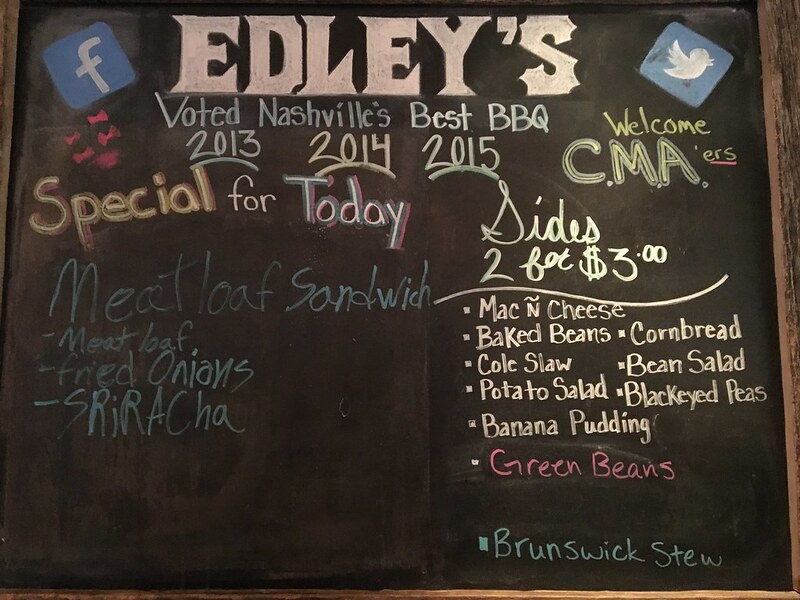 Plus, who am I to turn down BBQ? Once we entered the 12South location (there are three locations in town), we walked up to the counter to place our order. 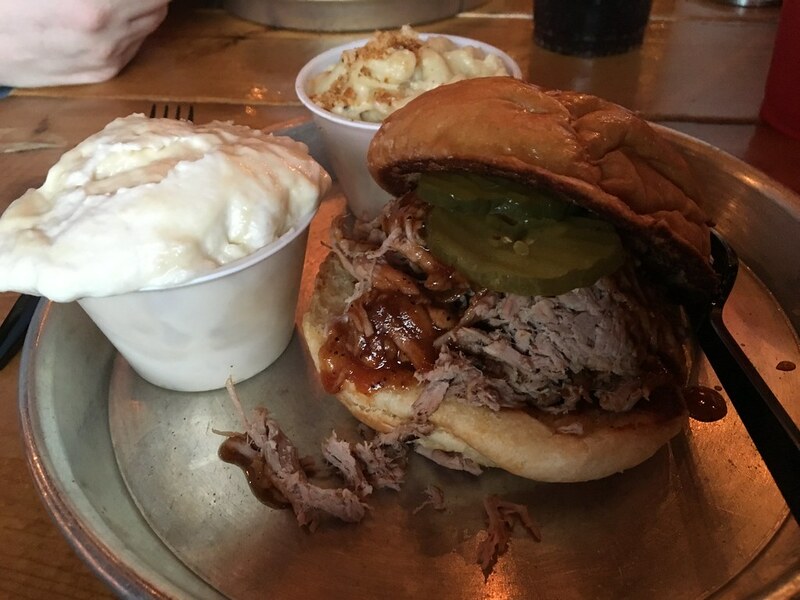 I went with my classic barometer BBQ selection: a pulled pork sandwich. And, I ordered the mac & cheese and banana pudding as my sides. 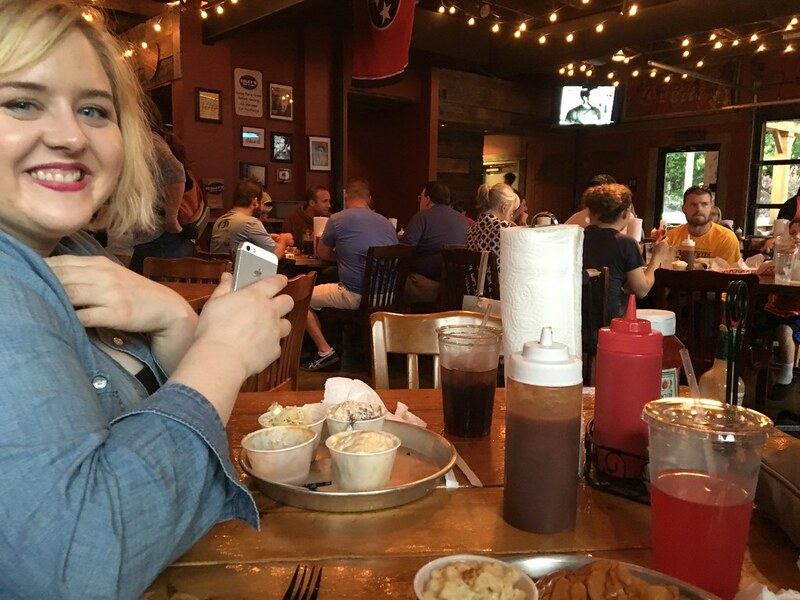 I mean, if you're giving me the choice between cole slaw and banana pudding for sides ... that's no contest. So, I tried to order my drink at the food counter, but you have to go to the bar. So, I went to the bar for my Bushwacker. 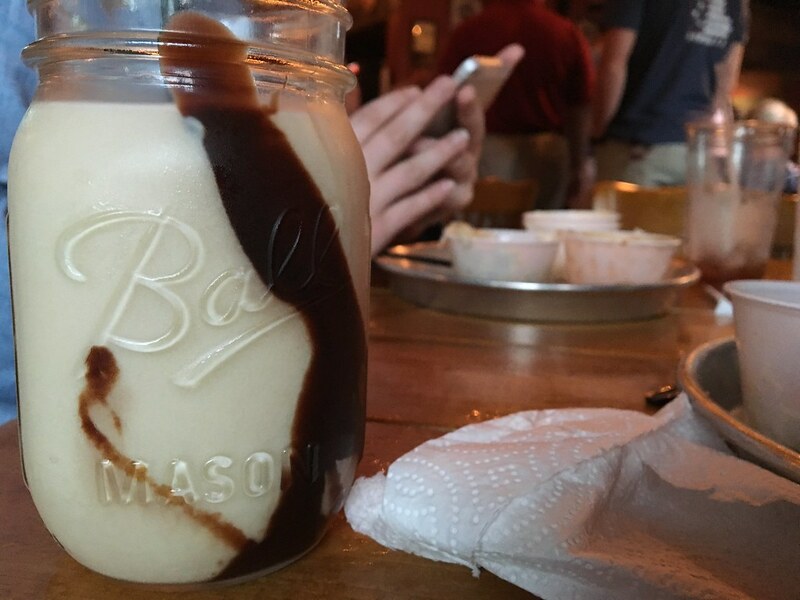 Bushwackers are like coffee, liquor and chocolate had a baby. While they SOUND like they would be amazing, I was not a fan. Are you coffee? Are you liquor? Are you chocolate? Pick a lane, bud. Because my brain is expecting delicious ice cream and my tastebuds are getting whiskey. I'll keep my flavors separated so I can enjoy the simplicity of each. Also, it was just really effing strong, and I wasn't feeling it this night. So, Brittany was right. The BBQ was dry. But, that's nothing a nice, thick, sweet BBQ sauce can't fix. The sides, however, were bangin. A heaping cup of macaroni & cheese and banana pudding more than made up for the main component of this plate. The mac & cheese was creamy with a touch of breadcrumbs on top. The banana pudding was phenomenal. Overflowing with layers of sweet vanilla custard, bananas and whipped cream. Overall, delicious (and numerous sides), eh BBQ. And ehhhh to Bushwackers.